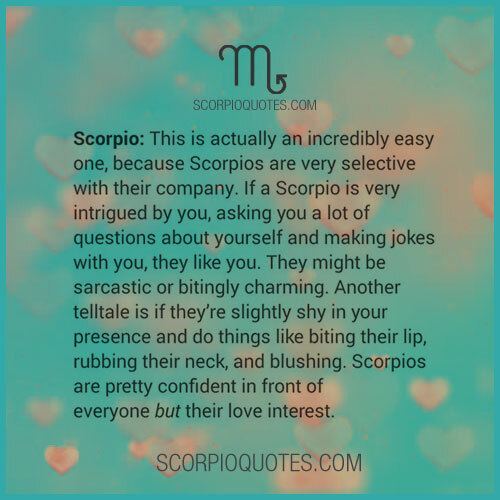 Scorpios are very selective with their company. If a Scorpio is very intrigued by you, asking you a lot of questions about yourself and making jokes with you, they like you. They might be sarcastic or bitingly charming. Another telltale is if they're slightly shy in your presence and do things like biting their lip, rubbing their neck, and blushing. Scorpios are pretty confident in front of everyone but their love interest.